On Thursday 8th March this year, a truck heading east up Great North Rd from Waterview failed to negotiate the right-turn corner into Carrington Rd, at the heart of the Pt Chevalier Town Centre. Its trailer fell over, and landed on the cyclelane and footpath. It would possibly have continued across the footpath towards a pair of gentlemen enjoying a chat and a drink outside the Flaming House, but luckily some sturdy rock-filled planter boxes stopped its path. Things we might ask after a B-train’s trailer falls on a cycle lane in a suburban town centre. 1. Are big trucks suitable for urban roads? Are they stable? Do they need to be packed more carefully, or just driven more slowly? Maybe they are just too big and heavy. Cyclists can’t cope with the ever-changing damage trucks cause to road surfaces. Thin flexible posts separating cyclists from traffic don’t provide protection to cyclists. Other cities only allow small trucks on urban streets. Why can’t we? 2. Should dining tables and chairs be placed next to the kerb? “The footpaths are wide enough to accommodate outdoor dining and seating and many activities flow onto the footpath bringing natural surveillance. However seating, sandwich boards, sign poles and other elements clutter the footpath in places and make it difficult for people with diabilities. 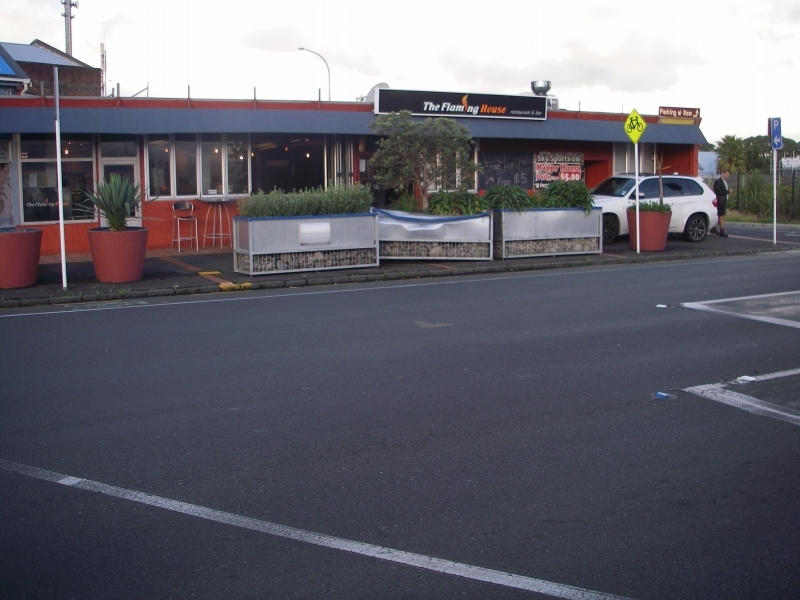 To assist the visually impaired, there may be an opportunity to require café owners to put their street furniture adjacent to the kerb with a wide accessibility zone provided along the frontage of the buildings.” – Pt Chevalier Place Audit Report, November 2014, Auckland Council. Shouldn’t something be done about the danger, volume, fumes and speed of traffic before we attempt to put tables and chairs right next to the kerb? Signs, yes, but I’m thinking that maybe some massive, protective barriers, like those useful planter boxes, might be more suitable for the traffic environment we’ve been dealt. 3. Whose idea was it to build a petrolhead’s playground? 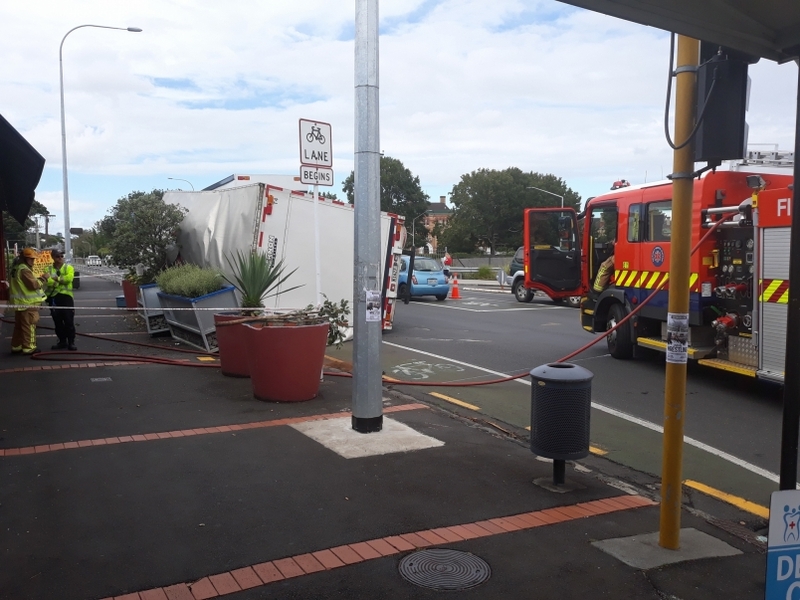 The truck had approached the intersection on the uphill slope of Great North Rd, where it is six lanes wide, and then failed on the sharp 60 degree turn into the narrower Carrington Rd. In a car, that’s a geometry that is hard to beat for kicks: you can floor it, and have an adrenalin rush as you almost-but-don’t-quite-lose-control on the turn. If you time it right, you can come off the motorway and straight up the hill without even having to slow. How do I know this, you may ask? I had it explained to me recently by a self-confessed petrolhead. (Very nice man, makes great coffee.) Here’s a shot going up Great North Road’s slope towards the intersection. Perhaps the design of the road and the intersection has something to do with why so many cars are sliding through the cycle lane and hitting the kerb as they turn the corner? The hapless planter boxes were put there, in fact, one week before the truck fell over, because a local health professional had heard and seen enough cars hitting the kerb, and recognised the danger. He was also experimenting to see if plants could improve the air quality. 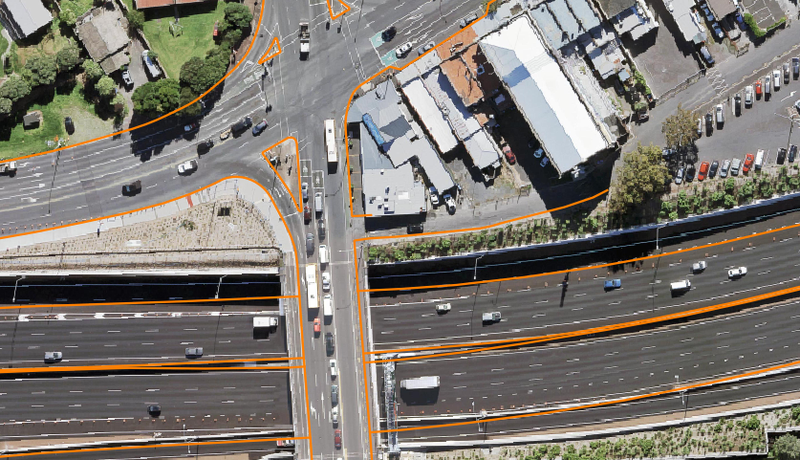 The intersection itself may be generous because it is part of NZ’s “Overdimension Route Map”, but the width of Great North Rd has everything to do with transport planning and road design. 4. How will the number of trucks using this intersection change over time? Short term, the intersection will serve trucks involved in the construction of the Unitec Development, the Light Rail project, and new development in Pt Chevalier, including 62 apartments right at the intersection and another 180 within 400 m. All these developments are great, but who-at AT, Council or NZTA, is considering the impact these construction trucks will have on safety? Or on walkability and liveability? Long term, Auckland is adding 40 km of new roads each year, and NZTA is continuing to widen and extend the state highways. All of this induces more traffic, city-wide, so we can only expect both general and truck traffic to grow. Did anyone spot a line in the RLTP that says “Projects to Decrease Truck Traffic on Local Roads”? Yeah. 5. Will Council ever succeed at improving this town centre? Solutions always involve improving pedestrian and cycling amenity, and reducing the dominating effect of traffic through the town centre. Any guesses why these suggestions haven’t been implemented? How do you fix a town centre blighted by motorway severance, high traffic volumes from cars avoiding the clogged motorways, huge unstable trucks, and cars speeding up overly-generous roads and through overly-generous intersections? citywide improvements to alter mode-share and lower traffic volumes and speeds. Council is looking to see better, and earlier, engagement from Auckland Transport with Local Boards… Auckland Transport’s management of the roading corridor impacts on Local Boards’ ability to make decisions relating to matters that are their responsibility. For instance, place making is the responsibility of Local Boards, but they have no decision-making power over the road corridor in town centres. The Local Board-initiated Placemaking Project would like to be involved in the design for the Light Rail, transport aspects of the Unitec Development, and in any other AT designs near the town centre. To date, AT have acted when we asked to shorten the pedestrian phasing at a midblock crossing, and are helping provide covered bike parks. Thanks, AT. On the other hand, replies include ‘confidential’ when we’ve asked about specific projects, and ‘no plans to make any changes’ when we wish to discuss areas with safety issues. Placemaking is not just a surface treatment. It doesn’t just slot in after the transport decisions have been made. 7. How long will pedestrian-blaming keep the road designers out of the spotlight? Maybe. But I say to people that they need to not look at their cellphones while they’re walking. There was no pedestrian using a cellphone. There wasn’t even a pedestrian. But according to that policeman, this is immaterial. The real problem here, apparently, is pedestrians using cellphones. If someone gets hurt here, will it be blamed on our allowing monstrously huge trucks on local roads? Or on increasing the traffic volume with our road building? Or designing the geometry to encourage hooning? How about speed limits, lack of enforcement, or the cost-cutting that led to police underfunding? No, silly me. The ‘accident’ will involve ‘many contributing factors’ and really, it was the pedestrian’s fault for not paying attention. Hop out of the way of that falling truck, honey. Heidi, are you sure the policeman didn’t say that people need to not look at their cellphone while they’re *driving*, not walking? In other words, implying that the truck driver had been occupied with his cellphone when the truck overturned. For the record, in the past week, I’ve seen several car and van drivers holding cellphones and talking while driving. Hi Neil, I don’t believe anyone has suggested there was any cellphone involved in this accident. I agree that using a cellphone while driving is a huge contributing factor to danger. This policeman simply made a general comment about pedestrians and cellphones – if he’d said something about drivers using cellphones, I’d hope he would have said something more like, “I’m often ticketing drivers for using cellphones,” or “I’m always pressing the force to allocate more resources to catching drivers using cellphones”. While I don’t want to extrapolate too much from this policeman’s comment – he’s just one man doing a superb job that I wouldn’t have the stomach for – I did wonder if his immediate “jump-to” solution being about pedestrian behaviour, not road design, was a sign of an underlying cultural problem in the police force. I’m just wondering this. I do have a lot of respect for the police. OK. The way you related it, the policeman attributed the accident to cellphone usage. It wasn’t clear that you were both offtopic and making comments in a wider context. Devils advocate: Perhaps the police officer was under the impression that there is a lot of distracted pedestrians and that these same people are a larger cause of accidents than poor driving from truckies. If he is relatively unaware of truckies crashing, but relatively aware of pedestrian incidents where mobile devices are not secured, or the pedestrian is wearing earphones, then he would have a point. FWIW I personally have no opinion on the prevalence of mobile obsessed pedestrians acting dangerously on the road. I do however find that there are way too many zombies on the footpath and often now I’ve given up moving for them. I know that might doesn’t make right, but there comes a time when you need to consider that your courtesy is actually encouraging irresponsible and antisocial behavior – Like giving in to a child having a tantrum solves the tantrum immediately, but makes a recurrence much more likely. It may be of interest to readers to learn what Associate Minister Genter thinks of driver cell phone use. I inquired of her view because it seems that the current policies don’t seem to be much of a deterrent to use. Is she serious about doing anything? If you want to see a potentially dangerous situation that nobody will do anything about until fatalities occur, try this. At the easternmost end of Fanshawe Street in the city, just before it meets Albert Street, there is a building on the left that has a decorative structure of galvanised iron tubing of some 3 inches in diameter. This structure hangs off the building over the footpath. The ends of the tubing, directly above the kerb, are formed into sharp pointy projections that point directly outwards. In the past, bus roofs were lower than the pointy ends, so there was no problem, but there are now dozens of NEX double deckers travelling past the pointy ends every day. It would take only a lapse by a bus driver or a driver medical event that would see the bus travelling too close to the footpath, with the upper floor being gouged out by the sharp projections. There would undoubtedly be fatalities. The building you mention is the Downtown Carpark. The decorative structure is actually support for shelter for the footpath below. Shelter from the rain that, despite some peoples inaccurate assertions, is very common in Auckland. What do you propose? Remove the shelter and have people walk in the rain or raise them and have them be ineffective with the same result. Both approaches are being applied across Auckland and are having an impact on pedestrians. If the move away from private to public transport is to continue the walking part of the journey has to be considered with shelter from the elements high on the list especially at pedestrian crossings. great post, thank Heidi. I’ve always had a soft spot for Pt Chevalier, both the village and the suburb. As an aside, much of Auckland’s road environment is so weapons-grade ugly (thanks to the Scottish twitterazzi that added that phrase to my lexicon) that I wince when I hear the phrase “place-making”. The latter, to me, is something that happens in another universe, let’s call it “Europe”. Rather than talking about “place-making” in relation to Auckland’s urban death-zones, perhaps we would be better to start by using a phrase that instead reflects the more humble goal of preserving human life? Like “life-preserving” urban areas? There are many initiatives (like imposing lower vehicle speed limits) that are necessary but not sufficient to move us from 1 to 3. Such asides aside, I look forward to your next post! Thanks for the encouragement, Stu. I’ll suggest to the Placemaking Project that we rename ourselves the “Life-Preserving Project”. Chuckle. We do need to find humour where we can, and I like “weapons-grade ugly”, too. That’s Great North Rd! The part of GNR west of Carrington Road is, then, nuclear-weapons-grade-ugly…! Regarding point 1. We regularly hear about busy roads that are unsafe for cyclist and cyclists should have the common sense to avoid. I have found though that the converse rarely happens. 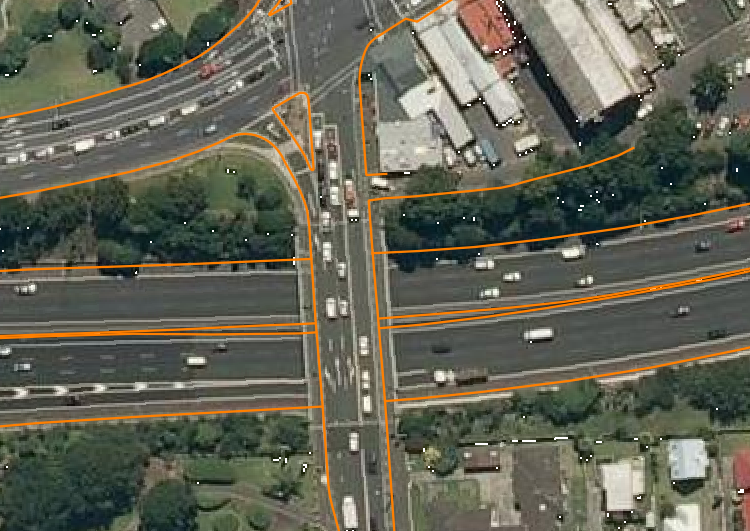 In particular I am thinking about roads like The Drive in Epsom and Ngapipi Road in Orakei. The Drive, with cars parked on either side and pinch points for pedestrian crossings is simply not wide enough for trucks and cyclists. Yet this entirely residential road is a common rat-run for trucks despite Manukau Road running parallel and the completion of the Waterview tunnel. Ngapipi road is also too narrow, with trucks unable to pass cyclist without crossing yellow lines. But seems to be regularly used by truck traffic to the Port that I assume is avoiding the motorway. This is just my experience and I am sure that there are many other roads like this. I ride Ngapipi road every day as part of my Howick to Viaduct commute. Never felt remotely unsafe on it. congratulations for being the one cyclist on earth so oblivious to danger that Ngapipi Road seems safe. 1. Anecdotally there are an awful lot of 8 wheeler trucks around nowadays (4 axles), which means heavy trucks, including tractor units towing some huge trailers/trailer trains which the US would be proud of. Stephen Joyce will be remembered, if for nothing else, for his mindless adherence to the wishes and dare I say generous political donations of the trucking lobby by substantially increasing the weight of trucks on our roads. 2. Trucks slow everything down on our roads, real slow, to the point that they may ironically stuff traffic flows the previous government tried so hard to motorway away. That can lead to some fairly dangerous speeds by motorists including truck drivers along with red light running to make up lost time. And when trucks crash, the damage is potentially horrendous. 3. The Pt Chev shops on GNR are a cot case. That very location and road and its direct feed both to and from one of the most major motorway junctions in NZ means its lost the battle and not worth the money to make it friendly again. But maybe by reintroducing road classifications again Class 1 – 3 roads, these Joyce type giant trucks can be removed from suburbia. Actually, trucks get bent over by governments of both flavour because the public don’t like them and they are easy marks. (Despite the lies from the rail lobby, even after 9 years of National the largest combinations were still being over-charged per km and subsidising light diesel vehicles. Those costs people claim trucks don’t pay for: no-one does, not even rail, and certainly not cars. That’s a different discussion which hopefully the Zero Carbon Bill will help frame properly). The “benefits” you say truckies lobbied for have really been developed for producers in an effort to reduce transport costs. That trucks “benefit” is incidental, and meaningless since the lower operating costs get passed through to producers and logistics firms, not retained by drivers and owners. The evidence is the high rate of business failure at the owner-operator and small fleet end of the market. As a Pt Chev/Grey Lynn child of the 70s and 80s I know that intersection well, and it has always been a bleak hole – along with every other shopping centre along both Great North and Carrington Rds. But it is a perfectly normal example of Auckland’s main arterials also being where everyone’s shop/community centre is located. Without knowing the specifics, I’d say the truck driver stuffed up, possibly the trailer loader, and a phone would not have been needed to be involved – just hitting the corner at the wrong speed after the run-up +/- a load shift. What I take to be Heidi’s main point is the place-making idea, which has to include thinking about how you want freight to be moved about the city. In the case of Pt Chev shops, I am sorry but they need to be moved, or you need to move Great North Rd: both purposes are needed (especially if Carrington Rd-Mt Albert Rd-Mt Smart Rd-etc is your lateral arterial), but they cannot co-exist at the same grade and do their respective roles well. This issue is repeated across the isthmus. Finally, trucks do well for concentrating a dispersing bulk loads; but if you replace them, you then have to accept that a disproportionately larger mass of light trucks and vans will pour onto the roads instead, actually taking up more space and using more fuel. That’s a trade off that needs to be owned and then factored into plans. The only solution to that is changes in consumer behaviour, less consumption and more quaxing. I agree with the fundamental issue of two competing roles not complementing each other. But, Tutehanga, this is the issue in cities the world over. And other cities have found a much better balance than Auckland has. Bit hard to move a historic cinema. 🙂 Right now, when both the Light Rail and Unitec are being designed is the time to make a radical change such as moving the shops or moving the road. I have plans for both those options. Instead, the local board and its placemaking function will be ignored. Which doesn’t bode well for the 3000 to 4000 homes in the Unitec development, for whom connectivity to the nearest town centre will have to be tacked on after the fact. Mechanisms for reducing consumerism are hidden in the rest of your comment, ie internalising the costs of roads onto all road users; cars and trucks alike. I can’t help but think that, if you prefer to keep Pt Chev, old theatre and all, then the main crossing point from the west to the central city probably needs to move south, say at the expense of people along New North Road, with traffic off the NW motorway that wants to enter the Route 10 corridor exiting at Patiki/Rosebank Rd (assuming that’s still a largely industrial area; which creates different issues?) and coming in from there. But it really is, as you say, a demand management challenge first, so we can get a clear view of the roads we genuinely need. I think this is a myth, in the urban delivery context. The convention is for consolidated loads in large trucks (or trains) to do the long-distances depot-to-depot, and smaller vehicles to do the delivery or collection in the local environment. Large ‘B’-trains offer no advantage in the local distribution scene unless all or most of the load goes to a single recipient. A ‘B’-train threading local streets to access a suburban supermarket then offloading a couple of pallets only is a nonsense. But it happens. A supermarket near me used to do this, much to the annoyance of locals who had to endure these totally inappropriate vehicles in their community, and always the argument was “It will be less efficient to use smaller trucks and so your grocery prices will go up. . .”. We’ve all heard it. Now I don’t know what has happened (new management with new ideas maybe? ), but I rarely see large truck-and-trailer units in the area anymore. Deliveries seem to be predominantly by smaller trucks now, or at least single-units without trailers*. Much more sensible. The public is rightly very wary of arguments from within the trucking lobby that bigger always equals better. Indeed, with the bigger the truck the more “efficiencies” are made why not up the tonnage of trucks to road train levels? One reason, @Waspman: road geometry. Our general access level of road design is really only good for up to 23m length vehicles, with fairly precise design requirements. Otherwise its over-dimension permits, lead cars, closed roads etc. Road trains start somewhere around the 30m mark. Ironically, those unused tertiary rail spurs, with their gentle gradients and lack of other traffic would be ideal corridors for road trains. No RUC either, so KiwiRail could claim it all for themselves and make a bit of money for a change. I was thinking more the consequences of closing arterial access to inner suburbs for these ones. Great North Rd/Carrington Rd is the right route for that kind of truck – it’s the only route once distributing to local centres off the motorway in that corner of the city – with a similar issue replicated elsewhere. If you push the biggies off that route there is nowhere else for them to go: ergo, smaller vehicles have to pick up the load. If people looking at their phones are subject to risk, then people who are of limited sight probably are too. If people wearing headphones are subject to risk, then those who are hard of hearing probably are too. Do we have a responsibility to build infrastructure that caters for limited ability people? With an aging population I’d say this becomes more important. Does our view of an accident ‘being the victims fault’ change if we learn the victim had hearing loss or poor eyesight? Why? Yes. And absolutely we have that responsibility. The good thing is that the government and AT have now both embraced the Vision Zero concept, so *in theory* we’re about to see a new environment for vulnerable road users swept in across the country. Nah, she’ll be right, mate. That truck driver was just trying out a new innovate unloading technique. It will revolutionize the economy! The economy, stupid. Economy! Profits before people! Opps… did I say that out loud? 1: I guess in other countries truck drivers are expected to know how to drive a truck without tipping it over. Europe has a more favourable layout to ban trucks from town centres. Auckland is the worst case, with most town centres sitting on the major arterials. 6. Both the cars on the footpath problem and the lack of zone 30 problem seem not particularly hard to solve. Says a lot about the values over here, none of it good. Also, that intersection sounds like a prime candidate for those combined speed + red light cameras (by the way, a lot of other countries just install these on almost every signalised intersection as a matter of course). 7. Headline: pedestrian uses cellphone, disrupts the cruise control of a truck causing it to tip over. The Herald will be all over it. But yeah, all of this is known and ignored. Cars have become our equivalent to radiation suits in Chernobyl. Most people seem OK with that. The policeman said that a pedestrian was using a cellphone while walking. Maybe the ped walked out onto the crossing when vehicles had right of way, causing the truck driver to brake heavily while turning. I would like to know whether this is another case where no “Red man” signal was given to the pedestrian unless he had pressed the button for his crossing. This goes back to a complaint I made a few months ago where the buzzer sounded for a crossing at right angles to mine because a ped had pressed that button. I heard the buzzer and proceeded onto my crossing, with no “Red man” forbidding me to do so, and was nearly hit by a car. AT apparently adopted a policy of saving power by turning off all red man Don’t Cross signals unless the button specific to that crossing has been pressed. In my opinion, that’s a dangerous decision and the red man should show at all times until it’s explicitly safe to cross. I’m a bit confused by what you’re saying. You are saying there should be a light telling you not to cross that would have stopped you from going, but you didn’t look for the light that *does* tell you to cross? I personally like the NZ system of having the “red man” come on once the crossing button has been pressed because it tells you that your request to cross has been acknowledged and you are now in the traffic light queue. Right. I heard the buzzer and there was nothing forbidding me from crossing. There should have been, and that’s my entire point which you seem to have missed. What if I was a child or someone with limited comprehension of the danger? I’m no idiot and it fooled even me. Are you saying that it’s entirely the ped’s fault when the contributory factor is that AT turned off the red man to save a few cents per week, for which they can get a tax credit as business expenditure? If the financial savings of leaving the pedestrian lights off by default was the only reason for making that choice and it subsequently sacrificed any safety I wouldn’t agree with that on principal. I’m just not convinced that safety has been compromised by not having a permanent red light on for pedestrians at all times. My point was more that while buzzer sounds at pedestrian crossings may be useful, ultimately people are taught and I believe should be taught to only cross on the “green man” sign. At all other times by default you should assume it is unsafe to cross. Makes a lot more sense and is much simpler for children of people with limited comprehension of the danger, I would think. I’m with you Neil on this one. I’ve been unsure sometimes when looking around observing other things, just been on my phone *cough cough* and not really with my mind on the “job”. With recent light phase changes around CRL works and other such city areas or anywhere, you are not sure if it’s a barns dance crossing or what. In more crowded areas you expect that someone else has already hit the button (I hate pressing them over and over like some do impatiently) so it’s good to get the positive or negative confirmation that you can cross that angle or way. Some intersections are unclear as to which ped light is for what direction/angle. Seeing red is a good idea to show the ped to be wary that at least some crossing direction is ready for you to cross. I think crossing Quay/Hobson St recently threw me off as I “think” it is a cool barns dance now…but that could easily of been the other way around & someone could easily walk out when they shouldn’t. Edit: Seeing red is a good idea to show the ped to be wary that at least some crossing direction is *NOT* ready for you to cross. Why not make it an entrance only and force vehicles leaving the carpark to go via Parr Road. Yes, there’s a solution to found there. And of course AT enforcing the Road User Rule 2004 which clearly states that you can’t park on footpaths would be useful. The carpark has several safety and anti-social problems that we’d like to fix, but I imagine it might be the location of a Light Rail station. Would be nice to be able to give some input to that, even just our map of placemaking issues and opportunities may be helpful. I thought it was an exit only? Its unlikely a cyclist would be turning right with a truck beside them, as most would take the cycleway rather than the slow uphill trip up the middle of the road or cutting across all the lanes. Carrington Rd could certainly do with an underpass, preferably on the south side to link in with the cycleway and give a lower grade. The LRT may require a Carrington Rd bridge replacement which could be a good opportunity, otherwise there’d be a lot of elevated structure required for tracks and station. Do you like the pedestrian amenity? That vehicle crossing is entry and exit. 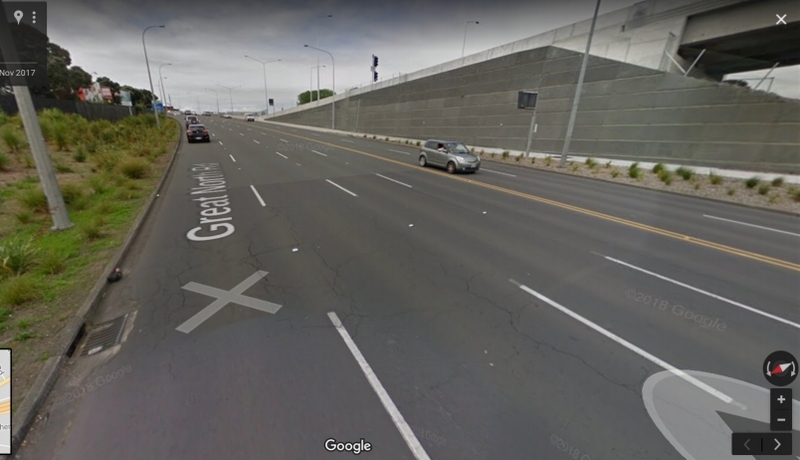 Bike Auckland asked for a west-east bikeway along the motorway under Carrington Road during the Board of Inquiry, but we were told that all the width had already been taken up with new lanes (no wonder, theres 16 or 17 in parallel here, when including GNR). Yes, as I discussed with Heidi yesterday, if LRT goes through here and is on the north side (or even anywhere else), there is likely to be a need of a rebuild, or at least significant changes, to the Carrington Road overbridge. The current working concept has it passing under GNR and Carrington Road, between the existing bridge and the intersection with Pt Chev Rd and GNR. So not so much rebuilding the bridge as constructing an additional one immediately north it. One of my latest initiatives was going to be to organise some actual trees to be planted on that triangle by the intersection, to try to replace what we had. Now that you’ve given me this information, I see that it would be pointless. But I do need to know where I can plant to plant trees. Which is kind of my point. I think this is appropriate to post here! Really, drivers like that need to be banned from driving. They seem to be incapable of making rational decisions, following the law or demonstrating an adequate level of skill and judgement. As for the ones who abused the cyclists – Public humiliation. Extreme? Yeah. But so very tempting. Tempting because they’ve suffered no ill from their lack of intelligence or compassion, yet they’ve wrongly vilified an innocent road user (cyclist). Their lack of accountability rubs me the wrong way. It’s just not kiwi, well, not how it was when I was a nipper. This is quintessential kiwi these days. Sorry Jon. This would not be surprising to anyone who has regularly walked or cycled in Auckland for more than a couple of months. As one whose career and passion has been technology, this may sound funny but… I blame technology for the increase in extremism and lack of compassion, the lack of humility. I blame technology for the apparent decline in demonstrated intelligence. It doesn’t _have_ to be the new normal. All we need to do is stand up for what we see as right, defend those who are being maligned. People are sheeple, use that to change the world to what you want it to be. We all know right from wrong, it’s just laziness and the absolution or dilution of responsibility that allows us to ignore that. Anyone on the scene help clear away the damaged booze boxes?!? Heidi you summed the whole issue in item 5 – Auckland is downtown centric. We have wonderful suburbs, but all the money is being spent on an ugly central metropolis that will never be improved. So stop wasting more and more rate payers money on the centre and shift the Council to the suburbs. AT should never have been allowed to move downtown. Don – Lots of people also live in the city centre though right? Have you seen the rates take for the area? Would arguably justify more spending based on that. Don, your comment displays enormous ignorance. Auckland’s city centre is home to some of the fastest growing area units in the country, both in terms of population and employment. That growth alone justifies investment. As a city-centre property-owner myself, I actually don’t have too much of an issue using rates from the centre to subsidise projects in the suburbs. The latter tend to be home to more people who would benefit from social investment, such as children, old people etc. However, when the centre needs investment (e.g. as it does now due to growth) then I sure as hell don’t want to see suburbanites suddenly sqawking like pumped-up, fiscally-conservative cockatoos. So I’d suggest you need to take a step back from your distaste for the city centre and think a little more deeply about how things actually work. A – With the best designs in the world you still have no defence against idiots. B – The policeman was probably referring to the planter boxes and pedestrians walking into them while distracted by their cellphones, and he was probably talking from experience. Heidi – commendations on a very incisive article. Thought-provoking for those whose thoughts need to be provoked, and searchingly questioning of the flawed fundamentals on which aspects of our transport policy sit. I hope the right people get to read this article and are prompted to re-think things. Thanks for that, Dave. I hope so too. Strikes me that Onehunga and Pt Chev have a similar problem with the severance you mention in #5. Thanks Nicholas. Yes, we’re lucky our coastline is more intact than yours, but we were really severed from Mt Albert and Waterview. Poor old Waterview was unlucky in both ways. 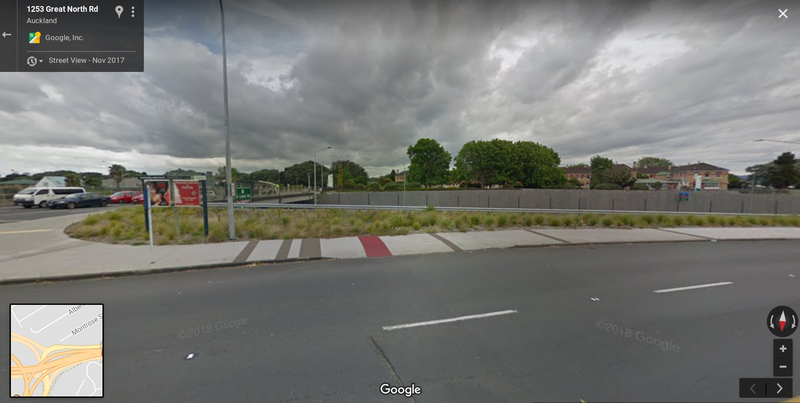 One solution to severance would be to cap the SH16 motorway trench between the Carrington Road overbridge and west to roughly where the Motorway offramp to the GNR starts. That would serve several outcomes. The old asylum would be re-connected with Pt. Chev & the improved habitability of the site would make it a much more attractive prospect for renovation as either apartments or office space. It would provide separate pedestrian and cycle access to Pt. Chev and the GNR. 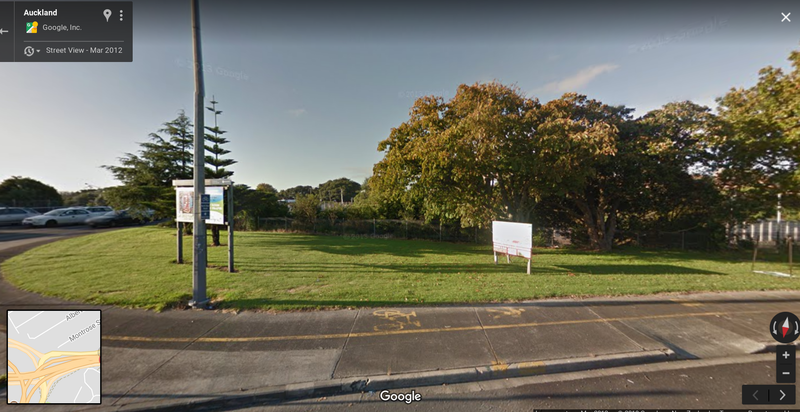 With the Unitec urban deveopment, lining across the motor to the remnant park clearly visible would provide a very useful open FLAT space (most of the other parkland around the immediate Unitec development is a gully) right next to thousands of new houses. It would be great if this could be considered, I agree. The zone that is going to be intensified along Great North Rd has limited access to a flat grassy play area. That’s not good news for the residents, especially the kids. Ideally, a grassy play area should be available within a 4 minutes walk (400m minus pedestrian wait times, which are significant here). So your idea would reconnect Pt Chev to its southern neighbours, including the old asylum (there are ideas afoot to convert that to an artsy community hub) and also Chamberlain Park. Expensive, I’m sure, but it would be nice to be able to see the rough costings for the different light rail options. If they do, for example, end up elevating it along this section anyway, would the cost of doing a full cover for one section be that much more? Great post thanks Heidi (and discussion folks). Only just caught up on it all been a bit busy with work & other random things. Thats the first time I have seen planter boxes where they are filled with heavy rocks to almost be gabions.